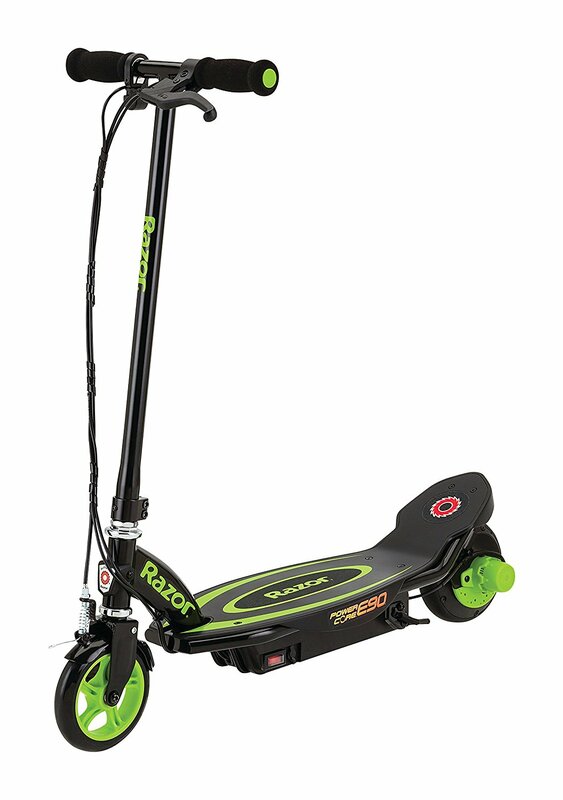 Thrill and power combine for a scootin’ good time on the Razor E100 Electric Scooter. 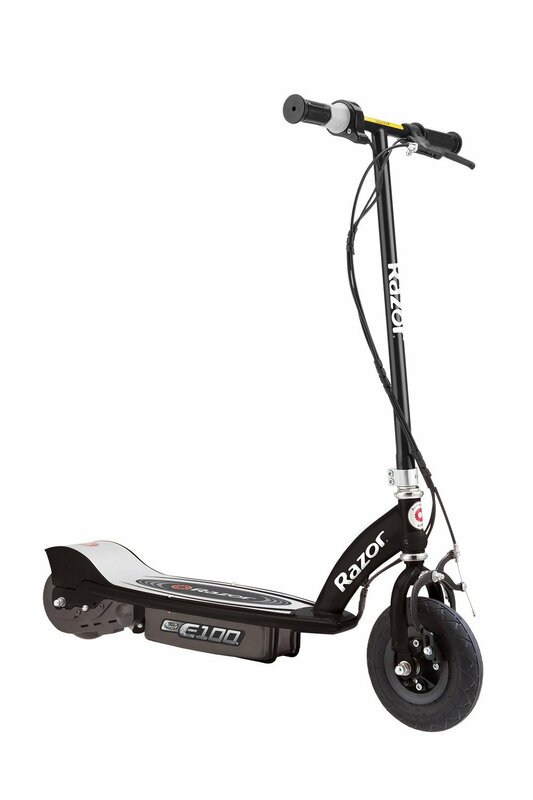 Whether you are taking a quick whip around the block or a trip to the neighborhood park, this scooter gets you there in style. 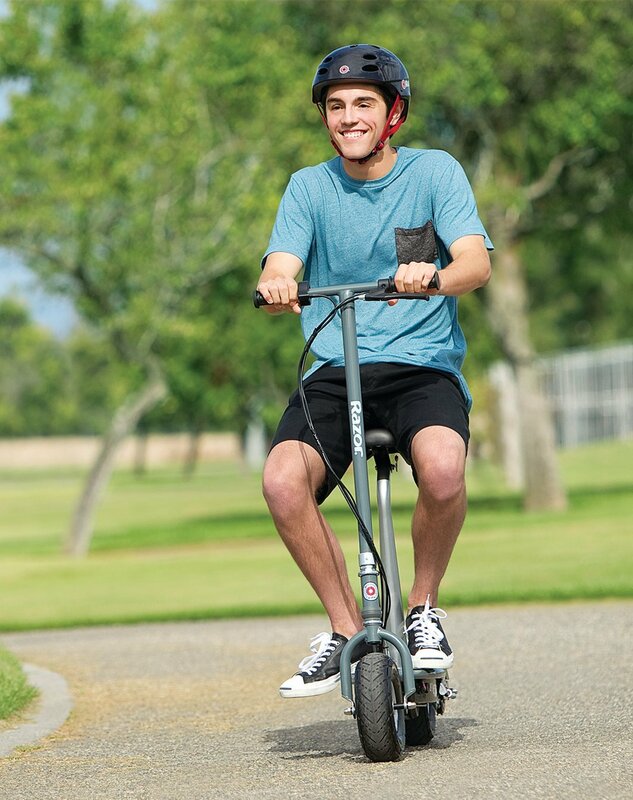 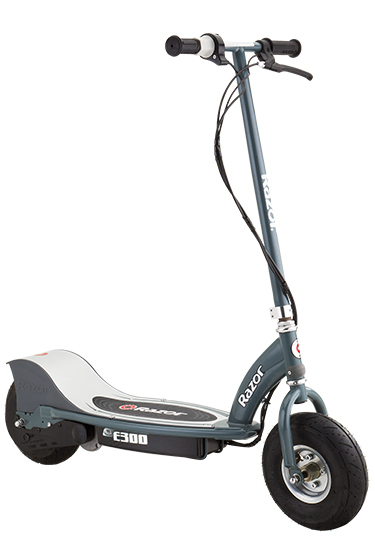 With a high-torque, 24-volt, chain-driven motor, you will enjoy traveling at fun speeds up to 10 miles per hour. 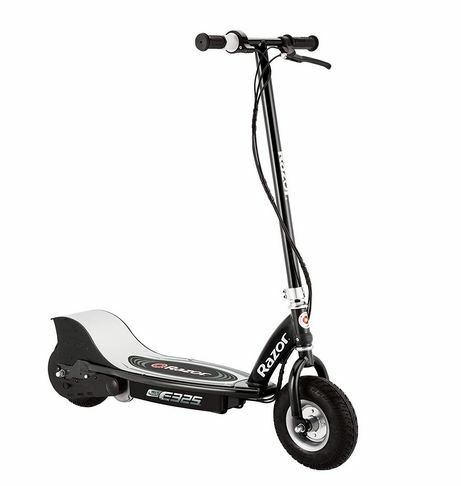 It has a twist grip throttle acceleration control and hand-operated rear brake. 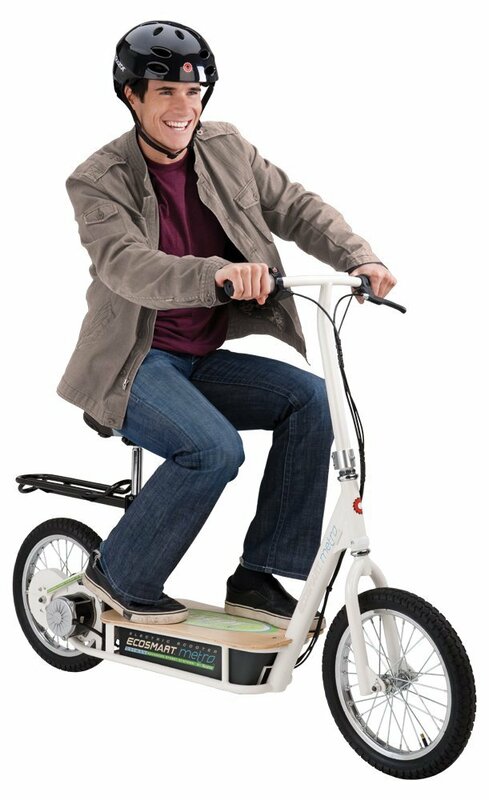 You can cruise around for up to 40 minutes of continuous use and recharge the battery in no time. 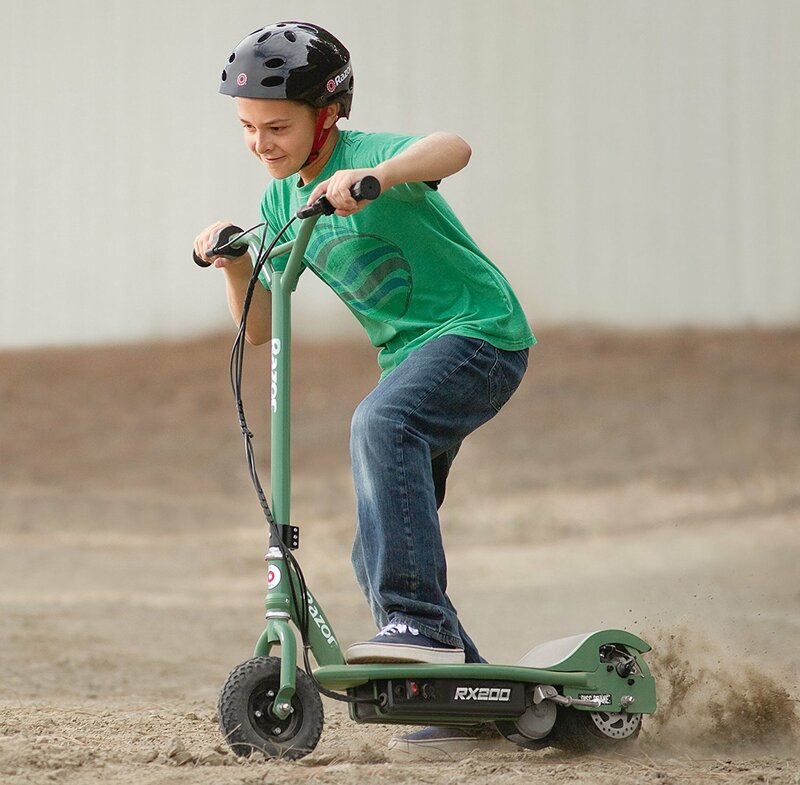 The kids-sized deck and frame is awesome for kids who love being outside zooming around with the neighbors. 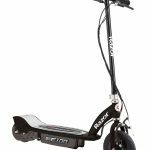 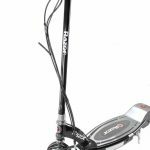 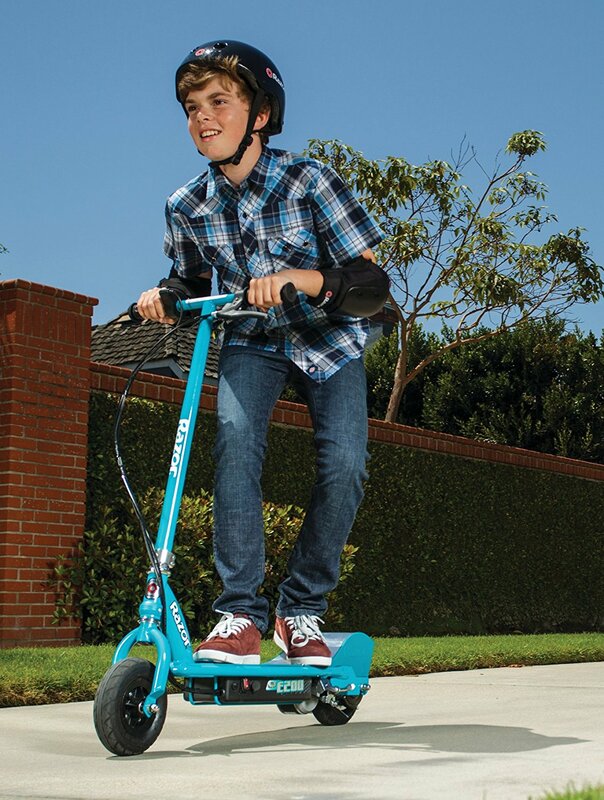 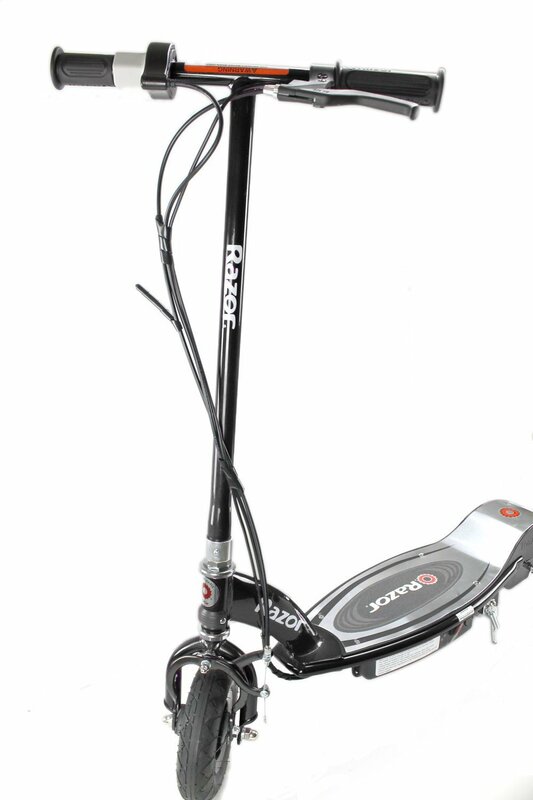 If your child has the need for speed, this Razor E100 Electric Scooter is ready for the thrill.